We Love Helping Real Estate Buyers To Find The Perfect Property. Our ways of helping are seriously loveable. These ways can help our clients buy homes at the best price with the very best terms. Sometimes all negotiations are not about price. A contract can also involve other seller concessions that create the right deal for our buyers. How can you be expected to make price offer decisions right away? Whether you are buying home in Virginia or Maryland, we will help you. 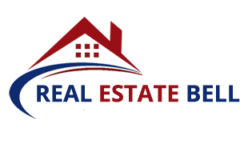 Real Estate Bell spends a great amount of time and effort in collecting market data to help our buyers in their price negotiations. This data involves not only sold property prices by neighborhood, but also current listing pricing to determine the competitive nature of the market. Through a Comparative (or Competitive) Market Analysis the accurate data is collected. This is done in two parts. The first part involves the comparison of the property you’re considering to similar properties recently sold in the nearby area. This gives us a firm grip on what has happened in the near past, but by nature it is “past” data, thus possibly not accurate for the market when you’re in negotiations. We then do another CMA process on the currently listed properties most like the one under consideration and in the same neighborhood or nearby area. This gives us a current market snapshot so that we can adjust our valuation model and our offer to reflect the current market situation. Only through constant communication we can advise you properly in pricing negotiations. By understanding your motivations and financial capabilities, we can help you craft a price negotiation strategy with the highest probability of success. While it’s not always legally possible to determine why someone is selling, there are things we can glean from their listing and price activity that will allow us to help you to negotiate from a position of strength. There are a lot of ways to negotiate a real estate deal, and they don’t always involve money. Perhaps the seller doesn’t have a lot of ability to work with you on price, but they can make other concessions that could result in a deal. We help you to take the best approach. Many real estate bell price negotiations involve multiple counter offers and a lot of back–and–forth. We’re with you in each counter offer to adjust your negotiation strategy accordingly. As we can’t estimate the seller’s financial limitations in many deals, some buyers get elated when they cut a major low-priced deal on a home. But then after inspections they hit a brick wall in negotiations with the seller, related to repairs. The negotiation to buy a home in Virginia, Maryland or Washington isn’t over with the price on the contract. So, it’s best to know that a real deal at the front end could result in less flexibility after inspections in the repairs discussion.